Filling the gap for a book covering vibronic, nonadiabatic and diabatic couplings as well as radiationless processes in context, this monograph compiles classic and cutting-edge work from numerous researchers into one handy source. Alongside a description of radiationless processes in statistical large molecules and calculational methods for intramolecular distributions, the authors also investigate the nuclear coordinate dependence of matrix elements. Whole chapters are devoted to the mathematical description of the lifetime and decay of a prepared states as well as miscellaneous applications. The text is supplemented by a number of appendices for optimum usability. With its integration of the necessary mathematical rigor, this is primarily intended for graduate students in theoretical physics and chemistry, but is also indispensable reading for those working in molecular physics, physical chemistry and laser physics. 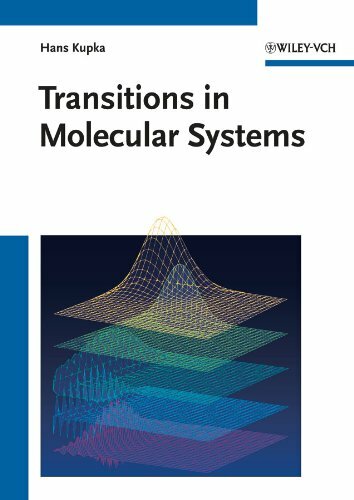 The analysis of electronic relaxation processes, especially of radiationless transitions in molecular systems, has evolved rapidly over the last few decades and nowadays plays a central role in almost all investigations of molecular physics and spectroscopy. Advances in lasers have contributed significantly to this evolution, and the book provides a self-contained and unified presentation of this development, with applications to molecular and solid state physics. Primarily intended for graduate students in theoretical physics and chemistry, this is also indispensable reading for those working in molecular physics, physical chemistry and laser physics.